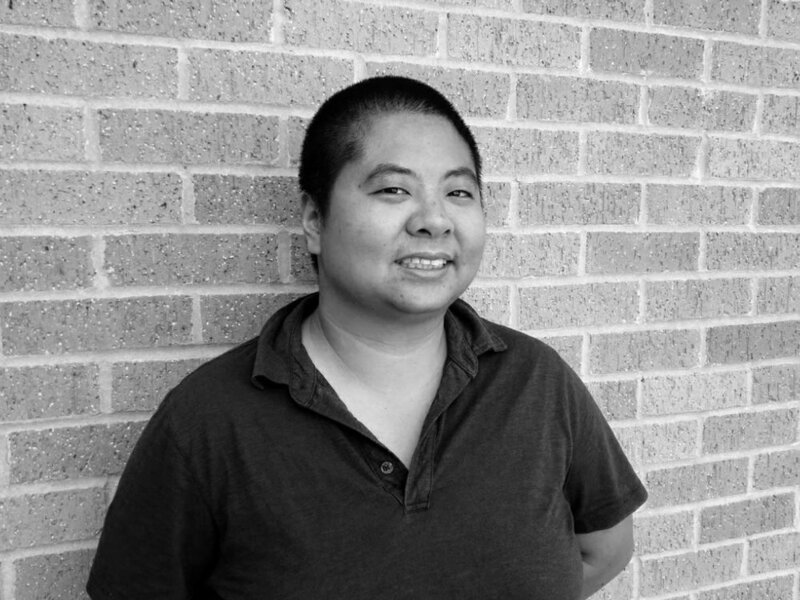 Ching-In Chen is the author of The Heart's Traffic and recombinant and co-editor of The Revolution Starts at Home: Confronting Intimate Violence Within Activist Communities and Here is a Pen: An Anthology of West Coast Kundiman Poets. A Kundiman, Lambda, Watering Hole and Callaloo Fellow, they are part of the Macondo and Voices of Our Nations Arts Foundation writing communities. Their work has appeared in The Best American Experimental Writing, The &NOW Awards 3: The Best Innovative Writing, and Troubling the Line: Trans and Genderqueer Poetry and Poetics. A poetry editor of the Texas Review, they currently teach creative writing at Sam Houston State University and serve on the Executive Board of Thinking Its Presence: Race, Advocacy, Solidarity in the Arts. www.chinginchen.com. cross-wise, your own safety valve. You breathed down your own street, rose tall, stitched. Built your own table, lit candles for the living who couldn’t make it back. The invitations, the city, the hauntings and the hatchets, the you, the you, the you walking home safe, opening the door, setting the table for company.